A spelling test is one of those big things at school that almost all dyspraxics and dyslexics dread. Our neurodiverse kids just do not process information in an ordered way so remembering the order of certain letters? Forget it! Example of a precision teaching grid. Sounds much scarier than it really is! Pick out around 5 words that your child needs to know how to spell–you can easily add more if you think 5 isn’t enough or if they have more to learn for a spelling test at school. 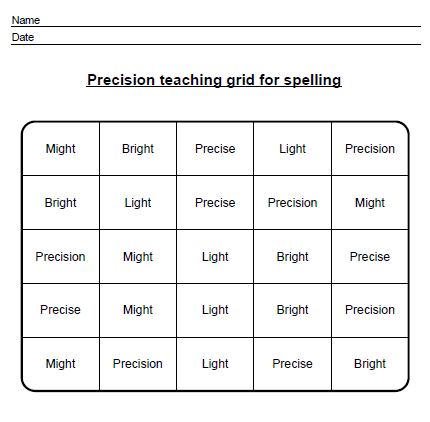 Create your own precision teaching grid using this worksheet maker. Just quickly create one using pen and paper–5 rows and 5 columns is a good place to start–and write out a word in each box across the top of the sheet. Then mix up the order when you write them all in again on the next row, and so on until you’ve completed the grid. The idea is to mix up the order of the words. Your child should be given some time to look at the words before you start with the grid. You can even print it out and put it next to their bed. Using colour can sometimes help them remember better too. When testing them, put a dot against the word if they don’t get it right, and a tick if they do. Repeat again the next day on the next row of the grid, and so on. Once they get 3 ticks on the same word, that word can be eliminated from the grid and another word brought in for the next grid. Words that they still haven’t mastered can be carried over to the next grid. Using the precision teaching grid is reinforcing repetition as well as helping you to monitor where the work needs to be done. 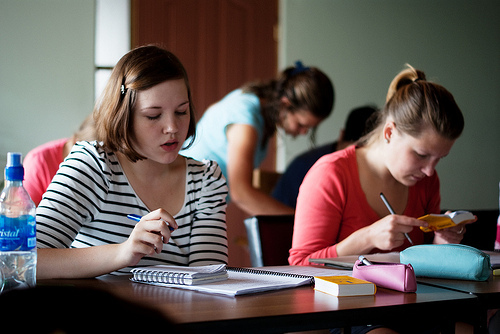 It’s also hugely rewarding for your child as they can physically see how well they are progressing. BONUS: You can also use this method for times tables, reading, and phonics! Although we teach kids to use the phonics method when learning to read, when learning how to spell it can be helpful to say the words as they are spelled. So they likely sound funny, and not like how you would read the word, but it helps your child to remember. This is actually what I do, and my daughter thinks I’m crazy, but it works! Friend = We would say this as ‘fri’ ‘end’ to learn how to spell it. Although, when reading, we would read it sounding like frend. 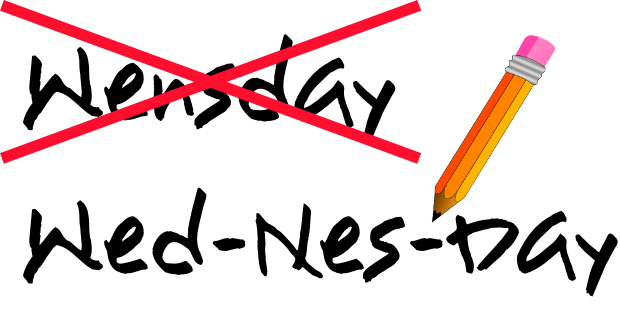 Wednesday = We would say this as ‘Wed’ ‘nes’ ‘day’ when learning how to spell it. Although, when reading, we would read it sounding like Wensday. When you think about it in these terms, it’s no wonder the wonderful world of spelling is so confusing to our little dudes and dudettes! They tend to do this at school anyway, but if you just want to work on your child’s basic spelling skills, then this is a good way to do it. Concentrate on different word groups at a time. So, with the teaching grid above, you can see we have a lot of ‘-ight‘ words. So once your child can memorise the spelling of ‘-ight‘ putting it together with an l, m, br etc. means they can now easily spell 3 words with not much more effort than learning 1. Precise and Precision would be another example of this method. To learn precision they need to first learn precise and recognise that precision has a different ending. Schools call these ‘-sion‘ ending words. There are many other groups of words of like this, that have the same endings, beginnings, or that contain certain sounds within them: our, ph, ance, al, ar, ure, ence etc. The School Run have some excellent resources that put all these groups of words together to make learning spellings easier. A mnemonic is a phrase where the beginning of each word represents a letter, and dyspraxic and dyslexic kids love this one! Although it’s important to make it funny and mildly ridiculous, rather than overly complicated–otherwise kids then just struggle to remember the mnemonic, never mind the spelling! Another rule is to make the letter an obvious one. So don’t use the word ‘phone’ in a mnemonic, for example, as this could be either a ph or a f.
A mnemonic is best used with particularly tricky words that your child struggles with. 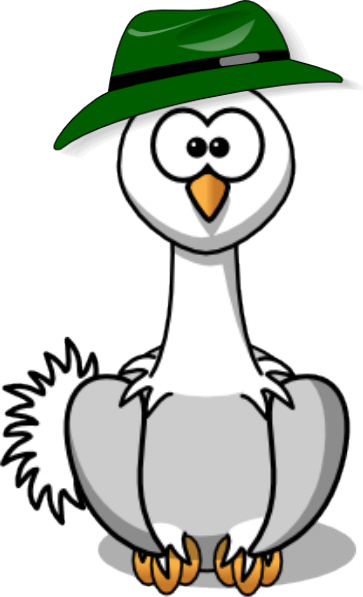 More mnemonics can be found on the Hints and Things site. Take some of the stress away by writing the spellings for your child as they read out to you what letter they think comes next. But do it next to them so they can easily see the paper and what has been written. It’s important they visualise the word. When our kids get stressed with a writing activity I would almost always say to let them type it, but in the world of autocorrect I think being a scribe is a better option when working on spellings. 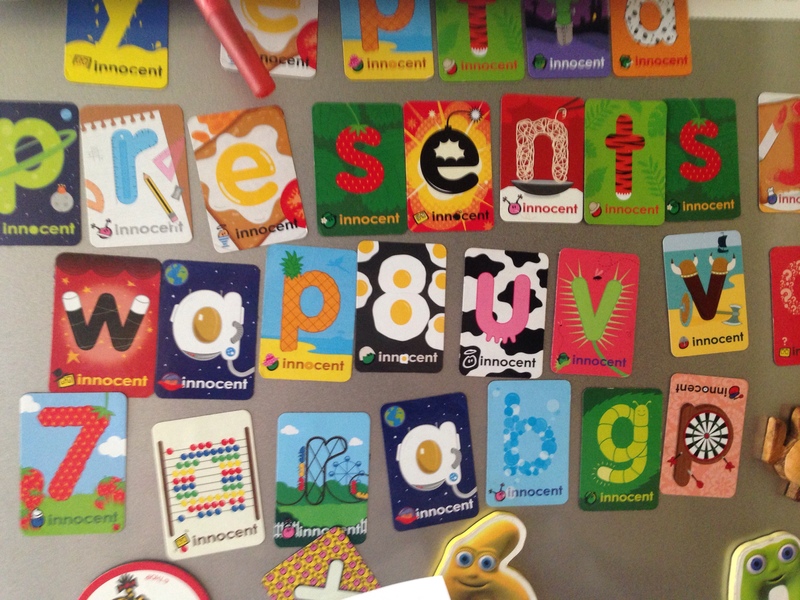 You can also use fridge magnets in the same way, to take away the pressure of the actual handwriting aspect. The colour of these magnets can also help to aid the memory. I use an Ipad app called Squeebles spelling to assist my son with his spelling tests, I found that it worked great for him because he didn’t have to write the words he could type them, removing the need for him to have to process the element of having to actually write. He still has to write them at school for his actual test, but the process of learning the spellings has become so much easier for him. Oooh this looks perfect. Thank you Rachel. I always find it’s best to get my little one to type her spellings. Who needs the added pressure!